Consumer Reports projected its findings after questioning Facebook, security experts, privacy lawyers, app developers, and victims of security and privacy abuse as well as surveying 2,002 online households, including 1,340 that use Facebook. Oversharing is common. A projected 4.8 million Facebook users have publicly indicated where they planned to go on a certain day even though doing so could tip-off thieves, stalkers or others with nefarious intent. Another 4.7 million “liked” a Facebook page about health conditions or treatments, in spite of the fact that insurers could used that data against them. Millions don’t use privacy controls. 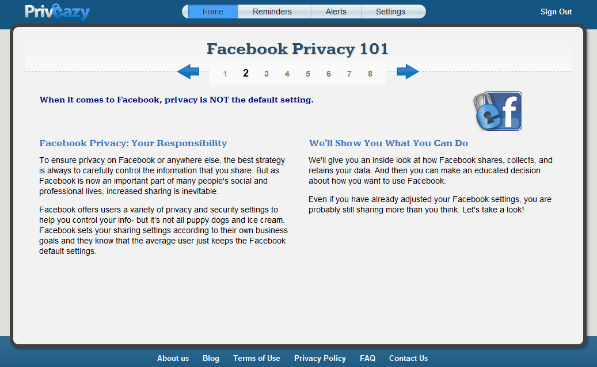 Nearly 13 million users have never set or don’t know about the social network’s privacy tools. And more than a quarter of users have shared their wall posts with an audience broader than their friends. Data is a premium to Facebook. “It is very likely that no government or corporation has ever managed to gather such a huge amount of personal and often highly sensitive data,” said Max Schrems, an Austrian law student who retrieved 1,222 pages worth of his personal information last year from Facebook. Among them he found wall posts, messages, email addresses and friend names that he had previously deleted from his account. Posted on May 6, 2012, in #breaking news, #facebook insights and tagged austrian law, facebook, likes, news, privacy abuse, privacy tools, social-media, stalkers, technology, top story. Bookmark the permalink. Leave a comment.